Here you can find all information about the cannabis breeder Apex Seeds. We've collected data about 21 Cannabis Strains breed by Apex Seeds. 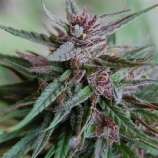 Click on the strains to find more informations, pictures, reviews, comparisons and sources for a variety - and/or check out the Breeder Info here at the page to find out more about Apex Seeds. Its also possible to visualize all Apex Seeds strains together with all their Parents or Hybrids with our dynamic maps - check it out! Click here to visualize all Apex Seeds strains including all known hybrids and descendants with our dynamic map! Here you can watch all Apex Seeds strains and their ancestors (sorted by origin) with our dynamic strain map! Its starts go back to the beginning of 2000, when different scientists specialized in botanical matters met in order to start investigating and developing genetics in the cannabis field., The technical team is made up of a group of bonded people graduated in botanical sciences, specialized in cytology, epigenetics and phenology. The studies have been carried out in the prestigious universities of Wisconsin-Madison and Purdue University-Main Campus., Science is the main value at Apex. Without it, it would not have been possible to reach its current degree of development, which is the main foundation of the company., Apex complements scientific theory with practice in the matter. Its experience is developed over several legal farms such as those of San Bernadino and Mendocino., Scientific Company, Cytology: This science studies the different structures and functions of the cell, considering it as the basic unit of life. Researches in cell biology are directly related to genetics, which has a great importance for the work in the cannabis sector., Epigenetics: Idt is focused on the study of the inherited steady features which could not be only explained by means of the DNA sequence. It also copes with the study of the changes which take place in the chromosome and which affect genetic activity and expression., Phenology: it is a science based on the periodic research of the life cycle of the plant and how it is influenced by seasonal and year-to-year climatic variations. On account of the fact that lots of phenomena are related to slight climatic variations, the use of phenology becomes really interesting in order to store climatic history, especially when it’s bound to climate change and global warming, given that they affect plants directly.